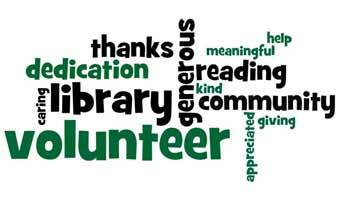 Volunteering is a great way to get more involved in the library and to support your community. 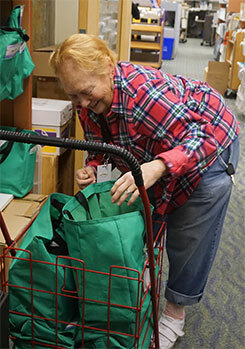 From searching for items on hold lists to delivering library materials to individuals who are homebound, volunteers provide an important community service! 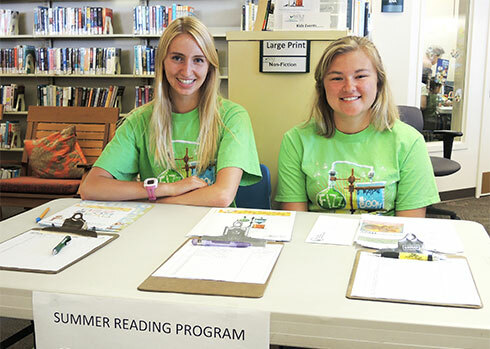 Opportunities vary from branch to branch, but there are ways to serve your library in all four NOLS branch communities, including volunteering at the library or with your local Friends of the Library organization. For more information, contact the Volunteer Program Manager at volunteer@nols.org or 360-417-8500, ext. 7793. Complete a volunteer application. Click here to download the application, or pick one up at any NOLS branch library. Return your application to the library, by email to volunteer@nols.org or by mail to: Volunteer Program Manager, North Olympic Library System, 2210 S. Peabody, Port Angeles, WA 98362. NOLS asks for a 6 month commitment, at least 2 hours a week for most positions. After receiving your application, the Volunteer Program Manager will contact you to set up an interview. If there is a good fit with an open volunteer position, the coordinator will run your background check and make arrangements with the branch manager or department supervisor. Before volunteering, you will receive an orientation, get a behind-the-scenes tour and be introduced to staff members. You’ll also receive specific training for your new volunteer job.